Easy-to-use visual editor to change the properties of your game and create your own questions without knowing how to program. Three question types supported: single choice, multiple choice and true/false (with and without an image). Optimized for mobile: the user interface uses Unity’s built-in UI system to automatically scale across different (portrait) resolutions. 105 unique example questions in 7 different categories included that you can use as a starting point for your own game. Complete set of unique graphics, animations and effects designed by ricimi. Complete and extensively documented C# source code included. This asset requires importing the free TextMesh Pro package. You can find the official Trivia Quiz Kit wiki here. 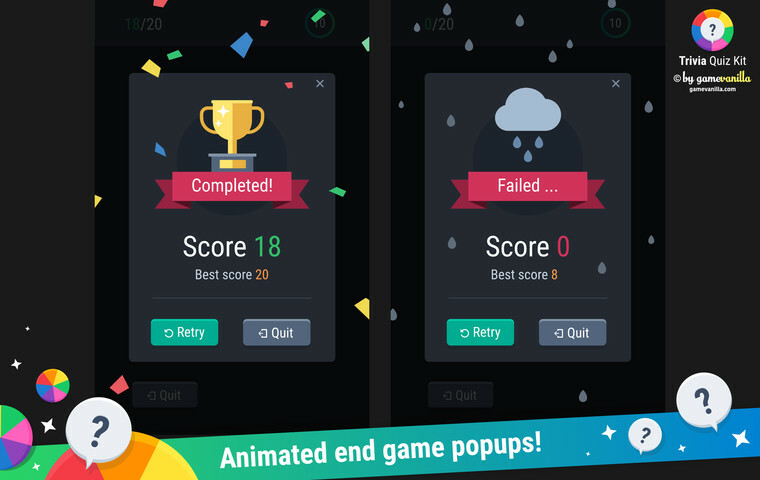 What is the minimum version of Unity required for the Trivia Quiz Kit? You will need to use Unity 2018.3.0 or higher. 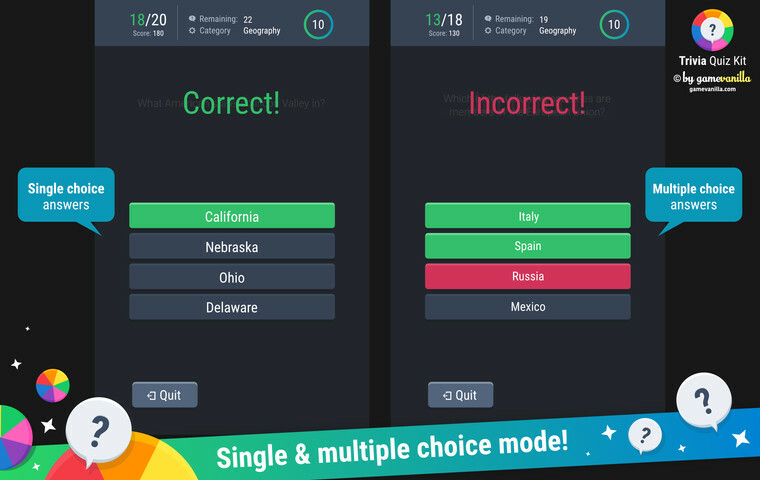 Does the Trivia Quiz Kit run on mobile platforms? Yes, it does. 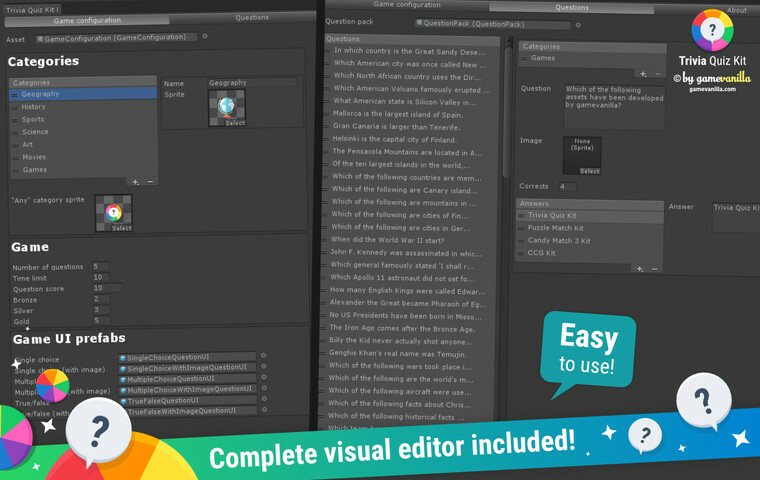 The UI is prepared to scale across different (portrait) resolutions by using a Canvas Scaler that scales with the screen size and anchors (you can find more information about Unity’s UI system here). Does the Kit include the .PSD source files of the graphics? No; it only includes the exported .PNG images. If you are interested in the .PSD source files, you can purchase them separately from here. There is no way for the assets to be digitally “returned”. We feel that, between the playable demo, the description, the official documentation and the detailed screenshots, there is enough information available to customers prior to purchase. Of course, we are also always happy to answer any pre-purchase questions. We do our best to fix any bugs or issues reported in subsequent updates. Do we offer individual discounts? We do not. The best way to purchase our assets at a reduced price is when they get selected for a sale. What are the licensing terms of the kit? 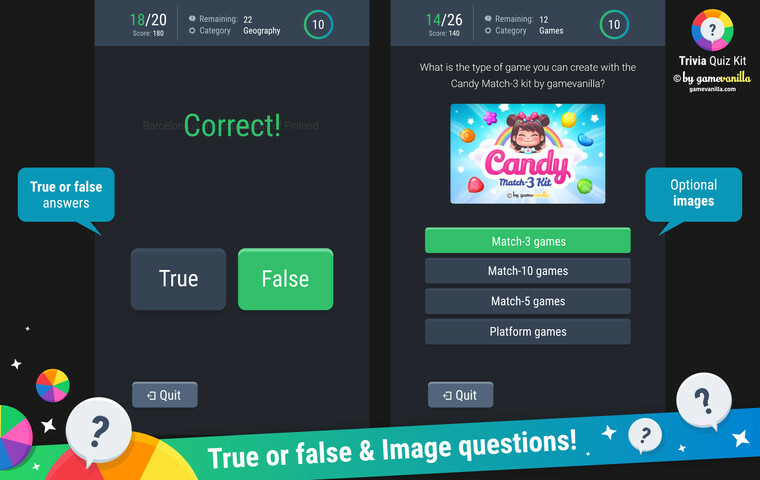 Trivia Quiz Kit can only be used under the standard Unity Asset Store End User License Agreement. A Copy of the Asset Store EULA is available here. 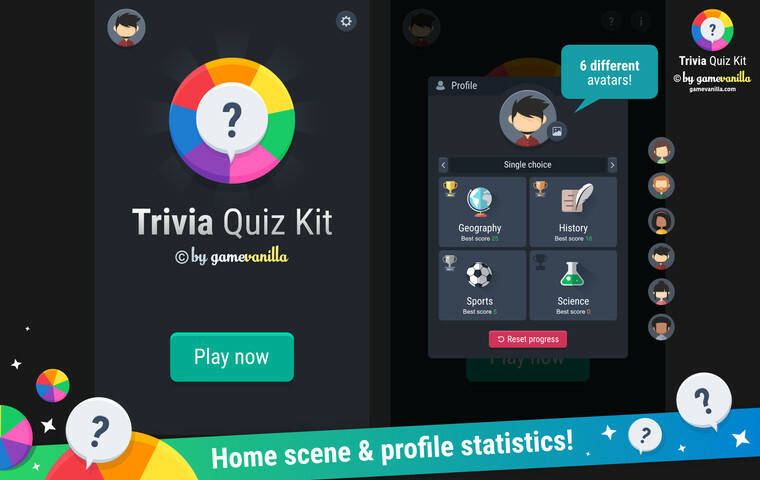 The copyright of Trivia Quiz Kit and all of its contents (including both the art and the source code) belongs to gamevanilla ©. After purchasing Trivia Quiz Kit, you have the right to use it only for the purposes of developing and publishing a final game. You are NOT allowed to redistribute or resale Trivia Quiz Kit or any of its contents for any purpose (not even after a complete re-skin). To distribute or resale this product is NOT permitted under any circumstances and is strictly prohibited. Please note that digital stores like the App Store or Google Play may reject your game if it contains very similar artwork to already published games. You may need to re-skin your game as appropriate. Thank you for respecting our work. How do I make a build for iOS? You need to follow the official instructions in the Unity manual here. How do I make a build for Android? The Trivia Quiz Kit can only be used under the standard Unity Asset Store End User License Agreement. A Copy of the Asset Store EULA is available here. 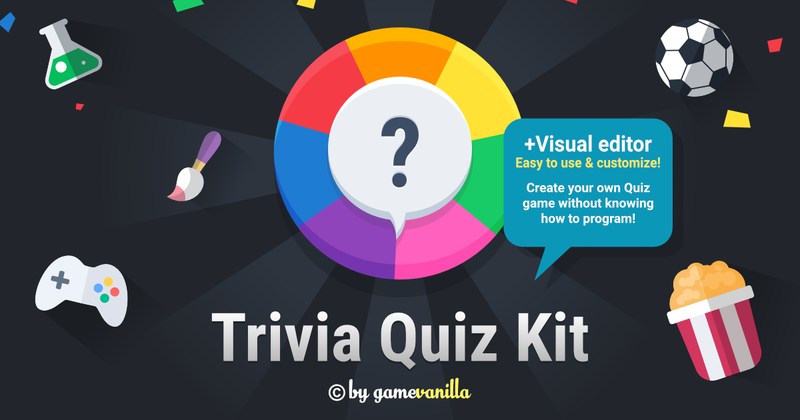 The copyright of the Trivia Quiz Kit and all of its contents (including both the art and the source code) belongs to gamevanilla ©. 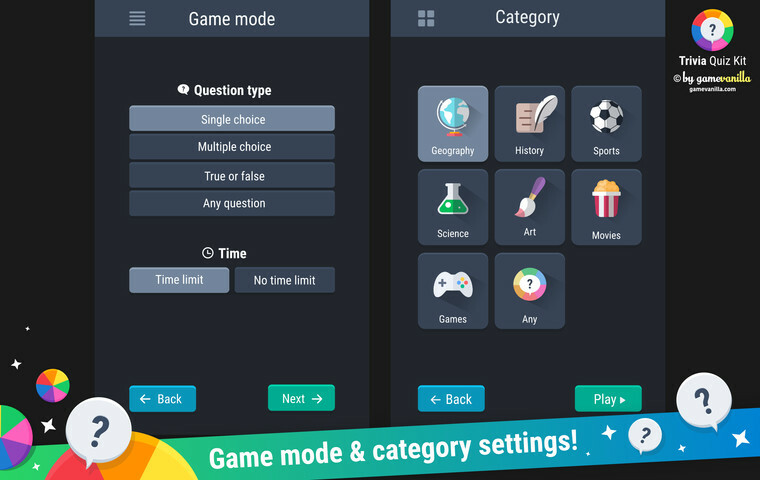 After purchasing the Trivia Quiz Kit, you have the right to use it only for the purposes of developing and publishing a final game. You are NOT allowed to redistribute or resale the Trivia Quiz Kit or any of its contents for any purpose (not even after a complete re-skin). To distribute or resale this product is NOT permitted under any circumstances and is strictly prohibited. Thank you for respecting our work so we can keep on creating awesome content. 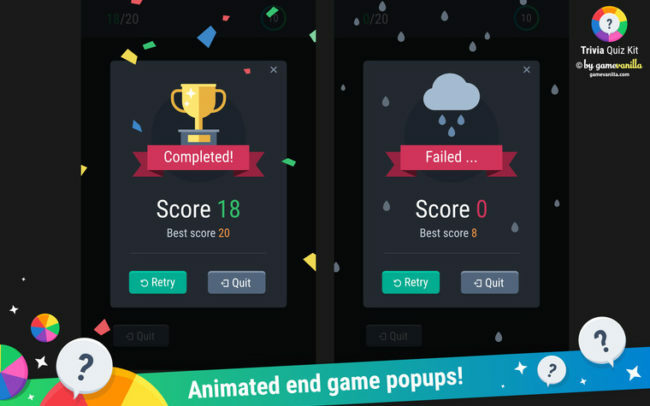 ✔ You can develop and publish a game using this pack. ✔ You can use this pack without a limitation of period and number of times. ✔ You can use this pack for any commercial purpose related to your game. ✖ You can’t resell the pack (even after a re-skin). ✖ You can’t sublicense this pack. ✖ You can’t duplicate/rename/modify this pack for reselling purposes. ✖ You can’t use this pack to damage gamevanilla and/or ricimi. ✖ You can’t use this pack for any unlawful purpose. ✖ You can’t distribute, transfer, rent, or license this pack by duplicating and transmitting publicly the materials beyond the scope of permission set out in this license regardless of whether this pack is modified or altered. All the items you buy are quality-checked by gamevanilla. Any future updates made available by us are included with your purchase. ✔ Availability to answer technical questions about how to use the kit via our support form. ✔ Assistance with reported bugs and issues. ✖ Custom work and re-skins. Please read the documentation first. Many common questions are answered in it. 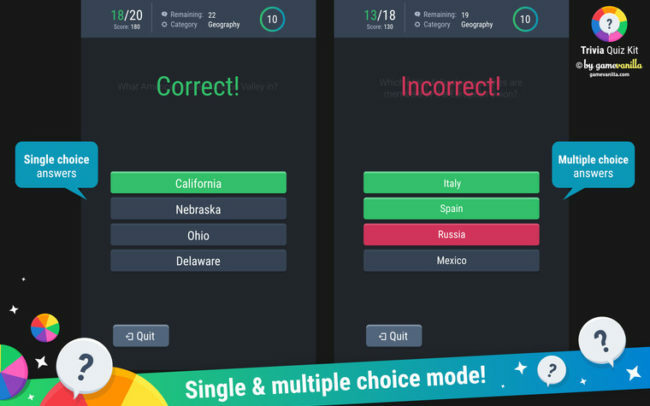 A powerful & complete tool to create your own quiz game easily with Unity without knowing how to program. 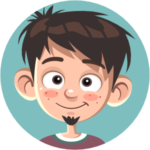 Initially, I acquired this asset because I saw how the developer is working on his other assets (very good quality). So I decided that this asset should also turn out to be worthy. And yes, it's very good. Very fast response from the developer, good documentation.